Corporate Concepts added new display Product for the Commercial usage. We are manufacture of writing and display board under brand name indoh boards. Corporate Concepts Added new Product in their Catalogue which can be used in commercial and factory area for more details click here. 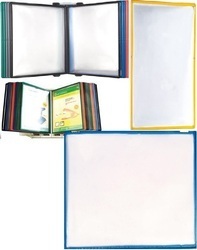 Desktop unit ,wall unit ,magnetic Folder and wall hangers are newly added in our website.